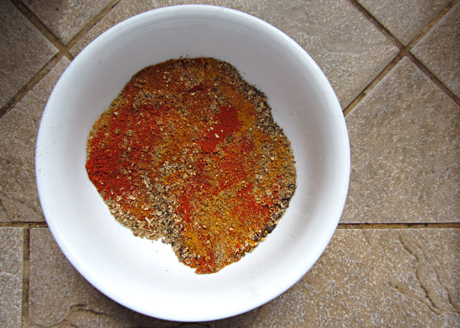 Tandoori Spice Mix is one of the most important spice used in BBQ dishes, the mixture of its spices give a unique aroma and taste to the dish. It is Most useful when used in marination with yogurt for at least over night then you do not have to use any tenderizer to tender the meat. As people are getting more comfort lover they preferably buy ready to use spice mix, but I personally don't buy any such spice rather try to make them at home with real and fresh ingredient to get original and effective aroma and taste. Here is the easiest recipe for this spice mix, it just need to combine and grind all ingredients to fine powder. You can save it for a month or two if stored in air tight glass jar. Place all ingredients except for turmeric and paprika in a spice mill, mortar and pestle or coffee grinder. Store in a glass jar away from light and heat. Will keep for up to six months.